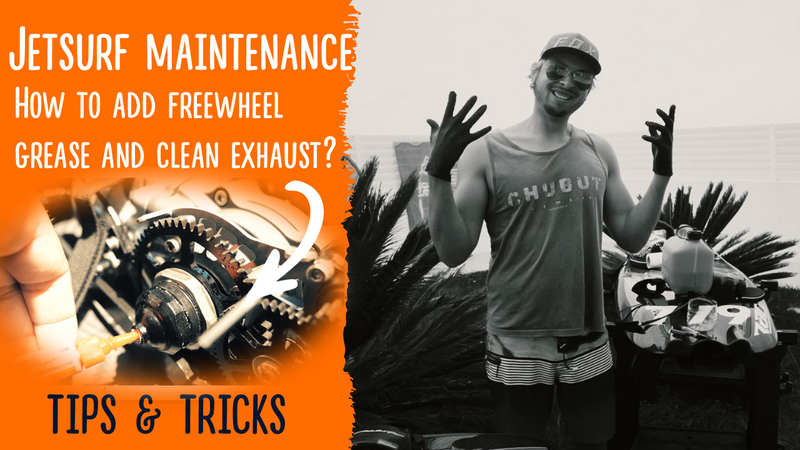 In this short video we are going to cover two most important jetsurf maintenance tips that you need to do every 20-50 hours of use. – How to add freewheel grease? – How to clean jetsurf exhaust and exhaust ball? – How to clean the board inside using break cleaner? A lot of things I cover might look simple and obvious for jetsurf experts and veterans, but could be very helpful for people who are just starting out with jet surfing and have no experience in it! As usual, big thanks to Luis for helping me with filming this and Wayne Brooks from Jetboard Limited and Jeff Scott from Sussex installations and Thomas and Vaclav from Jetsurf Factory for consulting me about the technical part and giving me valuable advice on the board maintenance.